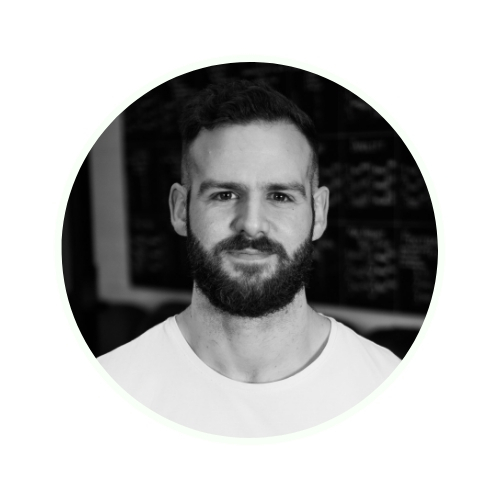 Sam Griffiths of Mealo knows how difficult it is to be healthy when you lead a busy life. Here he shares five health goals which business professionals can realistically achieve to become more resilient and productive. When I think of the word "health", I think personal freedom. For me, health is about feeling capable, and confident in body and mind; being mentally resilient; athletic; energetic; pain free. In essence, everything that business professionals need to be successful and in control. Unfortunately, business professionals are busy and so health is relegated in importance. This is caused in part by a crucial misconception. The words "health", "fat loss", and "diet" have become interchangeable. If we hear the word "diet", we conjure up thoughts of restriction, hunger and "rabbit rations". For business owners, this mindset encourages them to continue an unhealthy lifestyle. Challenging this status quo led me to consider the purpose of my own business. How do I help busy people with little time for dieting or exercise overcome this block and focus on their health? When I started out, I wanted to help people. I didn't give much thought to sales, marketing, or systems and processes within my business. Early on I was fortunate enough to meet Kevin Stansfield from ActionCoach Solent. During the time I have worked with Kevin as a business coach, I have learnt the importance of having definitive business targets. It transformed my mindset from self employed job owner to that of a business owner. I also realised that these principles translate perfectly into health and fitness. If Key Performance Indicators (KPIs) work for business, why can’t they work for business professionals personally? When you’re a busy professional, KPI's allow you to normalise changes without draining you mentally. Real changes in health need to work within your life, not around it. By focusing on the behaviours that busy people can realistically alter, the picture begins to change: health is achievable, now matter how busy you are. If you want to wake up feeling refreshed and ready to be productive, sleep is non-negotiable. You must rest your mind. Been craving sugary foods recently? Improve your sleep, and you'll see those disappear. The squat is a fundamental movement pattern we lose the more sitting and driving we do. You should be able to manage a deep squat for more than three minutes without any pain or assistance. Spend time in this position to reduce common issues like lower back pain. If you're not doing this, please don't start that running program. It’s one reason recreational runners see such high injury rates. We hardly move each day, and then pound the pavement. Your feet aren't ready, yet. If you do this, you won’t need a diet plan. Focus on quality: replace an evening ready meal with an uncomplicated dinner cooked from scratch. Eat foods you enjoy first, not foods you perceive as healthy. If it’s difficult to prioritise all of these KPIs, choose to improve only three of the five. Use a free habit app to help track each day. If you're serious about starting? Book my full assessment and prioritise exactly where you need to start. Email hello@mealo.co. If you add the subject line: Assessment: Winchester Bloggers I'll give you a 60% discount.